WHY EX-NAVY OFFICER SPOKE OUT: Ex-Navy Lt. Senior Grade Mary Nancy Gadian said she tried to bring out the purported wrongdoings in Balikatan 2007 out of concern to the foot soldiers, within the military's internal system but it was a futile practice...Eventually, things turned against her when she was ordered arrested for failing to appear before the Navy's Efficiency Separation Board for going AWOL (Absent Without Official Leave). She insisted she did not go AWOL because she filed her resignation within the period of leave. Gadian was also probed for having an "extravagant lifestyle" and suspected of "malversing" (embezzling) Balikatan funds. She described the moves to investigate her as unfair since she was the one alleging wrong-doing by senior military officers...she was further encouraged to publicize her claims when she learned from colleagues that some Army personnel were said to be checking on her background --and too her children. Gadian told PPTRP that while she was only slightly concerned with her own safety, it was a totally different thing to hear that officials were allegedly asking questions about her children. "By coming out to tell about corruption in the AFP, my family life was destroyed and the future of my children put to risk," Gadian says. However, the recent and ongoing Senate hearings have given her new determination to have her own voice and account heard. "The people deserve to know the truth on what's happening inside the AFP. Behind the uniform, may mga mukhang demonyo (some are like devils)," Gadian says. "Telling the truth is the only way to clean the rotten system. Our soldiers deserve a better and honorable life." Don't Do As I Did Colonel Rabusa Speaks to the New Generation: Whistleblower and former Armed Forces of the Philippines (AFP) budget officer George Rabusa provided a detailed account of how slush funds and payoffs allegedly worked at the very top of the military when he appeared in front of students at La Salle-College of St. Benilde in Manila...His descriptions...were both vivid and believable. Among other things, he maintained that: >>> After command conferences with program directors, a meeting ensues with only the AFP Chief of Staff, comptroller and the budget officer (himself) in the room. It is in this meeting where the AFP chief is updated on the status of funds; what portion could be used "with flexibility" by the chief of staff; and the portion which could be actually used for field operations. >>> Of the monthly Provision for Command-Directed Activities (PCDA) also known as the slush fund -- reaching PhP 40 million (nearly USD 1 million), the AFP chief could allocate around PhP 5 million for his "personal use" and another PhP 5 million for the office. "Our PCDA usually reaches the negative, that's why we have to think of new projects. We are the Central Bank, not the bag men. If you push our buttons, we cough out money," Rabusa said. >>> The Resident Auditor, while supposedly independent, is part of those benefiting the percentages or payoffs. It used to be only 1 per cent of the whole project cost, but the Resident Auditor asked to increase the share to 2 per cent. The Resident Auditors role is critical because he/she is the one who issues credit advice to facilitate release of money, Rabusa alleged. In the video, Pogoy exposed irregularities in how the budget was spent in the PAF. “If there are four aircrafts in the PAF, only two are running as indicated in the yearly allocated flying time while the other two are being cannibalized by the PAF,” Pogoy said in the video. Cannibalization, Pogoy explained, is the process by which spare parts of an aircraft are replaced by old ones. To cover this up, PAF had procurement papers as proof that the spare parts are all brand new. graduated from the Ateneo de Manila High School in1989, entered the Philippine Military Academy, and became an Ensign in the Philippine Navy in 1993. He was assigned as cargo master, on a Navy ship. destined for sale to the Abu Sayyaf. He felt that he could not approve this cargo. Phillip could not, in conscience, sign approval. Then his parents received two phone calls, saying: "Get your son off that ship! night at home, when Phillip was already in bed. Boulevard, Ensign Pestaño was dead. wascommitting suicide. The family realized at once that the letter was forged. They tried desperately for justice, carrying the case right up to the Senate. The Senatorial Investigation Committee examined all the evidence, carefully. Phillip Pestaño did not commit suicide. He was murdered. He was shot through the head, somewhere outside of his stateroom, and the body was carried to his room and placed in the bed. The crime was committed by more than one person. In spite of these findings, by the Senate, the family could not get justice. The case is still recorded, by the Navy, as suicide. For 12 years they have been knocking at the doors of those in power, to no avail. Now they realize that they should knock on the door of Him who said: "Knock, and it shall be opened to you. Ask and you shall receive. Seek, and you shall find." young man who gave his life for honesty, truth, and justice." he takes his place among the Unknown Saints. keep the oath that he made when he graduated from the Military Academy. ideal of integrity in every mind and heart and soul. -- by Fr. James B. Reuter, S.J. 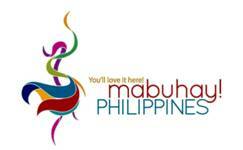 QUEZON CITY prides itself in being the richest city in the Philippines. The city government has billions of pesos deposited in the banks. All that money comes from taxes paid by the residents and businesses of the country’s largest city. The problem of most Philippine cities is the lack of funds. They don’t have enough money to finance essential services and infrastructure projects. Not Quezon City. Its problem is that it has too much money, as a result of which corruption is very bad in the city government. And among the worst offenders are the representatives of the people themselves: the councilors. There are thousands of ghost employees in the city’s payroll, most of them supposedly working for the councilors. Each of the 26 councilors has 124 employees but only 20 or so of them are real flesh-and-blood employees. The others are non-existent. They exist only in the payrolls and in the personal data sheets, most of which are fake. Somebody collects and pockets their pay every month. Each councilor has an P800,000 monthly payroll. There are 26 councilors. So do the arithmetic and you will have an idea of how much taxpayers’ money is lost to ghost employees. A rough estimate of the amount stolen is P4 billion yearly! Not only that. Each councilor has a P43-million pork barrel. They are free to spend it for whatever projects they report to the city treasurer. What they report is not exactly what is spent for the projects, many of which are also ghosts. Much of the money allocated for projects of councilors go to private pockets. How do I know all these? A whistleblower, a former employee of the QC Council, couldn’t take it anymore and decided to spill the beans. Former Sen. Nene Pimentel presented him at the Kapihan sa Manila at the Diamond Hotel last Monday. Pimentel, who acts as counsel for the whistleblower, Jimmy Lee Davis, has filed complaints with the Office of Ombudsman against three councilors for starters: actor Roderick Paulate, Marvin Trillo and Francisco Calalay. The complaints were accompanied with fake data sheets of the ghost employees and fake job orders for ghost projects. The personal data sheets have photographs supposedly of the employee. But they are ID photos bought from photo shops and affixed to the data sheet. The photos are not those of the employees listed on the sheet. The persons in the photos do not know that their photographs are being used to steal the money of taxpayers. Investigators should publish these pictures in the newspapers and ask their owners if they are employed by the QC government. Almost all of them are unaware that they are in the city government payroll. Somebody collects their monthly pay and signs their names on the payroll. A look at the payroll shows that many of the signatures, supposedly of different people, look as if they were signed by only a few people. You know where the money goes. It is likely that a syndicate or syndicates have seen a gold mine in the rich coffers of the city government. Syndicate members fill up the fake personal data sheets, procure the ID photos, fill up the fake job orders, and collect the pay of the ghost employees. Are the councilors in cahoots with the syndicate? They sign the payroll. Is Vice Mayor Joy Belmonte, chair of the city council, aware of what is going on? She approves the payroll. Sources say there are indications that she does not like it but she cannot put her foot down because she would lose allies in the city council. By the way, all the councilors are members of the Liberal Party. Does Mayor Herbert Bautista know about it, too? Most likely, as rumors about the anomaly has already leaked out. I don’t know if it is true, but there are reports that the city treasurer has already frozen payments for the payrolls. The syndicate seems well-informed and has many operatives. A day after Pimentel filed his complaints with the Ombudsman, the councilors already had copies of the complaints. Shortly after the Kapihan sa Diamond, I received a call from a public relations man asking if I would write about it and wanting to meet with me. Who is this Jimmy Lee Davis? According to his affidavit, he has been an employee of the city council and has worked in the offices of many councilors from 1992 to 2010. His exposé, he said, is factual and true. Ghost employees in the offices of city councilors are proliferating. The staff members of the councilors filled up the personal data sheets of the supposed employees “to support the payrolls using fictitious names and pictures to complete the P800,000 monthly payrolls of each councilor,” Davis said. “In fact, I suggest that the Maintenance and Other Operating Expenses (MOOE) portion of the annual budget of the Sangguniang Panglunsod (SP) of Quezon City should be subjected to thorough scrutiny by the Office of the Ombudsman or whatever office of the government has the power to do so. Davis said he has already received death threats because of this expose, which was the reason he decided to go public. WHISTLEBLOWER Rodolfo “Jun” Lozada could be the perfect example of how, in this country, people like him who dare spill the beans on wrongdoing get punished, not rewarded. It is a practice that he said must change under the administration of President Benigno Aquino III. Three years after he faced the Senate as star witness exposing the corruption-ridden contract for a national broadband network, Lozada still faces a slew of lawsuits while the people he has accused of making millions of pesos in commissions have mostly escaped sanctions. “Masigasig sila sa kakahabol sa kaso ko, eh(They’re determined to pursue the cases against me),” said Lozada, who still faces a P19.5-million malversation case related to the jathropa project of the Philippine Forest Corp. which he used to head. He also faces a graft case allegedly for the anomalous purchase of motor vehicles, fencing materials and other equipment worth P15 million. The cases were filed by the Ombudsman after Lozada testified in the Senate on the wheeling and dealing behind the $329.5-national broadband project entered into by the Arroyo government with the Chinese firm ZTE Corp.
Lawsuits are just one of the consequences that this year’s batch of whistleblowers—auditor Heidi Mendoza, Col. George Rabusa and Lt. Col. Antonio Lim—have to brace themselves for, Lozada said. He appealed to the families of the three whistleblowers to support them. “Once they have decided to carry the banner of truth, life would never be the same again for them,” he said. “The Ombudsman has filed so many cases against me,” said Lozada, who is up against Ombudsman Merceditas Gutierrez. Gutierrez is known to be a close friend of former President Gloria Macapagal Arroyo and her husband Jose Miguel, whom Lozada has accused of having been bribed by ZTE so it could corner the project. Gutierrez, however, faces the possibility of impeachment for allowing Ombudsman prosecutors to agree to a plea bargain that let Gen. Carlos Garcia, former Armed Forces of the Philippines comptroller, off the hook for plunder. To further illustrate how skewed justice is in this country, Lozada said his former subordinate Erwin Santos who testified against him continues to be president of PhilForest. “’Yun ‘yung tao ko na bumaligtad… For me, isa ’yan sa sukatan ko. That’s the fellow na ginamit nina Gloria,nina Atienza laban sa akin (He was the person who turned against me. That is one of my indicators. That’s the fellow Gloria Arroyo and then Environment Secretary Lito Atienza used against me),” he said. Around this time in 2008, the nation was gripped by the live coverage of the Senate hearings on the NBN-ZTE scandal, much like the hearings on corruption in the AFP that now hold the nation in thrall. 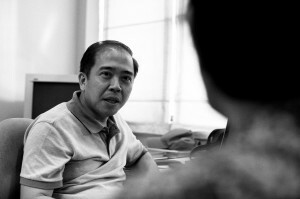 Lozada was then the center of national attention, as he laid the blame on the doorstep of Malacañang, and pointed to the involvement of several government officials, foremost among them former Commission on Elections chairman Benjamin Abalos and former Economic Planning secretary Romulo Neri. The threat to Lozada and his family forced him to seek refuge with the De La Salle brothers in Greenhills. They stayed there for two years and nine months until the Arroyos were out of Malacañang. Lozada said he gets a sense of deja vu watching Mendoza, Rabusa and Lim during congressional hearings on the plea bargain agreement entered into by Garcia and the Ombudsman. He understands the intense emotions that testifying and truth-telling stir up. “For a man to cry was taboo. When I was there, tears would just flow. Literally, you were being broken,” he said. He said it was his faith that proved his anchor in those difficult times. It is impossible for a whistleblower to return to the old life, but Lozada said he has a new-found compassion for others. One of the projects he is busy with is e-textbook. He is working with a number of schools in converting textbooks into electronic form to save schoolchildren from the burden of lugging several kilos of textbooks to school every day. He is also into keeping schools safe by making sure that electrical connections are in order. “If there’s something that I cannot do, it is to be idle. I can be physically limited but it doesn’t mean my mind will stop. My mind continues to create new things,” he said. Many were expecting that with Aquino now in Malacañang, Lozada would rejoin government. “I have never been offered a position,” he said. Looking as an outsider, Lozada said he has not seen much action in terms of fighting corruption. “I was expecting a very big war against corruption. Programs that would curb corruption and appointment of people well beyond corrupt practices,” Lozada said. Lozada said he sees the decision of Mendoza, Rabusa and Lim to come out and tell the public what they know despite great risks as “a march of truth against the darkness of corruption. Sana marami pa ang maki-martsa sa amin (I hope that more will join us). 18 May 2009 - SHE USUALLY works from 10 a.m. to 7 p.m., Monday to Friday. But these days, Rosario “Bea” Obsequio Riel, director of the Internal Audit Department (IAD) of the House of Representatives, stays awake, working even at home, until three in the morning. Riel is compiling evidence for a case she is set to file against a supplier who sold the House last year what she discovered were overpriced and substandard fire extinguishers. The feisty internal auditor will also file before the Office of the Ombudsman graft charges against former Zamboanga del Norte Rep. Artemio Adasa Jr., who is now House deputy secretary general for operations. Adasa was chair of the chamber’s Bids and Awards Committee (BAC) at the time the contract was awarded to First Defense Enterprises (FDE) owned by Leonor Dulay. Compared to many other government deals, the fire extinguishers transaction, totalling P4.9 million, is considered small. But what makes it noteworthy is Riel’s success in convincing her superiors, including Speaker Prospero Nograles, to terminate a deal overpriced by more than 150 percent—or about P3 million—by a supplier who apparently bagged the contract because of the latter’s ties with the BAC chair. Dulay was an incorporator of the Philippine Clean Air Foundation (PCAF) that Adasa headed from 2005 to 2006 and where she remains an active member. The foundation, which promotes the Clean Air Act, has been endorsing its affiliates, including FDE, to private and government offices to recover their halon-based fire extinguishers and sell them new ones. Halons are carbon chemicals that cause the depletion of the ozone layer. Riel’s feat also underscores the importance of pre-audit, a function entrusted to the internal audit unit supposedly found in nearly every government agency, in aborting irregular transactions instead of waiting for the Commission on Audit to uncover wrongdoing during post-audit, after payments to unscrupulous suppliers and contractors have been made. Riel, 61 and grandmother of five, has spent a lifetime tracking down frauds and cheats, having been an auditor for the past 36 years, most of which were spent with COA. In the 1980s, she served as external auditor of the United Nations Children’s Fund’s regional office in India and its New York headquarters. Her dogged pursuit of wrongdoers included friends or family. She was her husband’s boss at COA in Leyte and refused to sign his daily time record when he reported late for work. She also blocked his requests for overtime when she knew he did not work for it. Riel also testified against a Philippine National Bank teller in Leyte who happened to be her husband’s cousin. The teller was facing charges for 41 counts of technical malversation and was eventually convicted and was sentenced to more than 300 years in jail. Last July 21, when the P4.9-million fire extinguisher contract reached her unit, the Fiscal Control Service, as part of a process to release payment to FDE, Riel felt something was amiss and immediately sought a recanvass. The bidding for 35 units of 10-pound and 100 units of 20-pound fire extinguishers was held on June 30 and exempted from the regular 28-day period process. The Legislative Security Bureau had sought the urgent acquisition of fire extinguishers to have them in place in the chamber’s four buildings— North, South, Main and the Ramon V. Mitra—when President Arroyo was to deliver her State of the Nation Address the following month. The House could not afford being embarrassed again as it was when one of its buildings was bombed on Nov. 14, 2007 and security personnel used expired fire extinguishers to put out the flames. On July 8, without inspecting the products but relying only on documents the bidders submitted, Adasa issued Dulay’s FDE the notice of award to supply the House with 10-pound extinguishers at P20,720 apiece and 20-pound extinguishers at P41,400 each. The extinguishers, which FDE guaranteed were “zero percent ozone depleting potential unexpirable,” were covered by a five-year warranty. “Ano ’yan, tita? Ginto (What’s that, my friend? Gold)?” Riel’s confidante at the Bureau of Fire Protection (BFP) asked when she called to check the prices of fire extinguishers. Riel said she then asked Rafaelina Valencia, an audit inspector from IAD, to copy the specifications of the fire extinguishers for use in a recanvass that her team was to conduct the following day. Adasa gave his side of the story, but he refused to allow publication saying that he had agreed to go on record only for an article to be submitted for a school project, which is what this report started out as. Despite Adasa’s call, House Secretary General Marilyn Yap gave Riel the go signal to conduct the recanvass. Along with two IAD staffmembers, Riel visited the three addresses listed by FDE—two on Timog Avenue and one on West Avenue, all in Quezon City. The Timog offices no longer exist. The IAD team was initially barred from entering the West Avenue building. But a female staffmember of Deputy Secretary General Cecilia David managed to get in days later when she posed as a buyer. “She described it like a beerhouse,” Riel said. Riel’s team also found that the bidding for the fire extinguishers violated the Government Procurement Reform Act, or Republic Act 9184, because a notice of bidding was not published, among other requirements. She was also bothered by the “prequalification” rule the BAC and the House’s technical working group had applied to FDE and another bidder, Ozone Care. The bids and documents they presented were all accepted at face value. Like FDE, Ozone CARE is an affiliate of Adasa’s foundation. But the overpricing was the most disturbing, Riel said. Of the four bidders, two—Palmer and Excelta—quoted prices 78 to 160 percent lower than FDE’s. The prices of the fourth bidder, Ozone Care, were higher. An independent check with fire extinguishers dealers done for this report showed that a 10-pound foam-emitting, ozone-friendly fire extinguisher can be bought for P6,500 and a 20-pound unit for P10,500. The price of a 10-pound dry chemical fire extinguisher, meanwhile, starts at P2,500. Inspector Rico Odad, chief of BFP’s Fire Safety Enforcement Division, also said in an interview that prices of fire extinguishers range from P6,000 to P12,000 per unit. Palmer and Excelta lost because they reportedly failed to give a five-year warranty and their products were noncorrosive and not ozone-friendly as stipulated in the Clean Air Act. A check, however, showed that Excelta is the only entity recognized by the government, through the Department of Environment and Natural Resources, to conduct halon recovery. Odad also said there is no assurance that a fire extinguisher is “unexpirable” as FDE claims its products are. Even the BFP has no capability to tell that a fire extinguisher has expired unless it uses it. “Once we see that it’s already urine-like and not foamy, it’s already expired,” Odad said. During the recanvass, Riel team’s also came across a January 2007 test report of the Philippine Institute of Pure and Applied Chemistry (PIPAC) which had tested FDE’s fire extinguishers for the Department of Trade and Industry’s Bureau of Product Standards. The report said the purity of the FDE product content was only 0.05 percent instead of 99 percent. In answer, Dulay filed a case of unfair competition against PIPAC before the Quezon City prosecutor’s office. In September, after winding up the recanvass, Riel and her team recommended that the deal with FDE be terminated. Upon getting wind of the recommendation, Dulay sued IAD personnel for graft, again before the Quezon City prosecutor’s office. But days after she filed the case, Dulay showed up at Riel’s office to negotiate with the IAD. She was escorted by Nilo Basijan, a member of Adasa’s staff. But, Riel said, Adasa could not commit to the IAD’s proposal to let it choose three fire extinguishers supplied by Dulay at random and submit them to PIPAC for testing. Apparently to get back at her, Riel said, Adasa erased his signature on a check intended to reimburse Riel’s office expenses. He signed it later only when his act was questioned by Yap, the House secretary general. While doing her research, Riel also discovered the ties between the PCAF and FDE, as well as with Ozone Care. Records at the Securities and Exchange Commission showed that PCAF was registered on April 6, 2001 “to lead in the promotion and implementation of the Philippine Clean Air Act of 1999.” Dulay was a major incorporator. She donated P96,000 while other incorporators each put in P1,000. In 2001, the DENR authorized the PCAF to lead in the cleaning up of halon-based fire extinguishers. The DENR recognition also meant the foundation got a share from the $30-billion Montreal Protocol Multilateral Fund to help clean up the air and the environment. The foundation endorsed its four affiliates—Dulay’s FDE, Ozone Care, Lead Marketing and Earth Care International Co.— for the halon recovery. The firms were supposed to deposit the halon they retrieved to PCAF’s Philippine Halon Bank in Clark Field, Pampanga. In 2005, however, the DENR rescinded its agreement with PCAF in favor of Excelta after it found the Clark facility to be nonexistent. In February 2006, Adasa, by then president of the foundation, wrote Environment Secretary Angelo Reyes identifying PCAF as the DENR’s partner in implementing the Clean Air Act. As in the past, he endorsed FDE and three other firms as its affiliates to recover halon. Adasa’s letter used the “Office of the Deputy Secretary General for Legislative Operations, House of Representatives, Batasan Quezon City 1126” as the foundation’s “care of” address. In September that year, the DENR-Environment Management Bureau issued a memo stating that “PCAF (had) abused the use of the Announcement to the Public issued by then DENR Secretary Alvarez by visiting different establishments to convince them to surrender their halons or HCFC (hydrofluorocarbons) and buy new products from their affiliates.” It also ran a newspaper notice reiterating that the government only recognizes Excelta as the entity in charge of halon recovery. Late last year, after taking into account the findings of Riel’s team, Speaker Prospero Nograles ordered the junking of the fire extinguisher deal with FDE. Adasa was also sacked as BAC chair and replaced by Deputy Secretary General Gaudencio Mendoza, who is assigned to the Office of the Speaker. Some old-timers in Congress, however, doubt Riel’s sincerity. A senior staff member at Nograles’ office said Riel could just be voicing out the losing bidders’ gripes. Another House employee familiar with Riel’s superiors feels that “she might just be following orders from higher-ups,” or that she might just be trying to please them. No matter what Riel’s detractors say, donations are finding their way to the IAD to help the auditors fight the case FDE has filed against them as well as to support the filing of cases against Adasa and Dulay. On her own, Riel has taken out a P100,000 loan for the cases she has decided to file. She has also received additional documents to boost the cases.